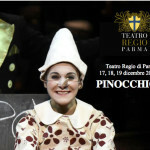 On Thursday 17 December 2015, as part of a new production for the RegioYoung exhibition dedicated to children, Pinocchio Opera debuted at Parma’s Regio Theatre with great success, with two performances on the first day and two additional plays for the families on December 18 and 19. On this occasion as well the opera took place under the auspices of the Carlo Collodi Foundation. 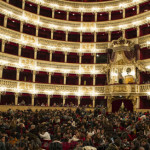 The “Paolo Toschi” State Art High School and the “Attilio Bertolucci” Liceo Musicale actively collaborated in the realization of the scenes. The careful direction of Stefano De Luca, assisted by Linda Riccardi, with scenic elements and costumes by Carla Ricotti, have also contributed in creating an inspiring and active atmosphere for this new Italian edition of the Opera. The characters’ interpreters of this edition are : Giovanna Iacobellis (Pinocchio), Daniele Cusari (Geppetto, Mangiafuoco), Beatrice Mezzanotte (Talking Cricket), Caterina Poggini (The Blue Fairy), Dorela Cela (The Cat), Eugenio Maria Degiacomi (The Fox). The Opera has been led by Stefano Franceschini on the podium, while Beniamina Carretta prepared the children’s choir from Parma’s Giuseppe Verdi Chorale. To further enrich the program, the Regio Theatre also organized a workshop in the Scenography Room held for primary school students. 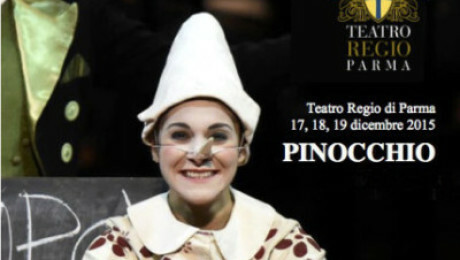 Pinocchio Opera made its debut in Italy selling out six performances staged between the 19th and 21st of February 2013 at the San Carlo Theatre in Naples, within its Educational season. 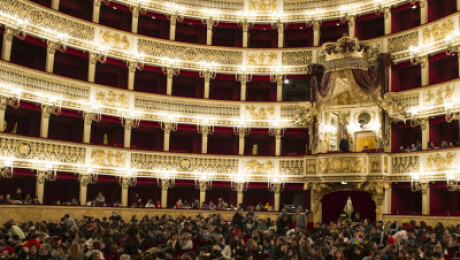 The Opera was presented under the auspices of the Collodi Foundation, and received the precious collaboration of Piccolo Teatro di Milano. 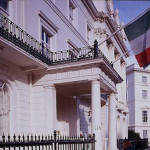 Under the direction of Stefano De Luca, the production of San Carlo Theatre also proposed an excellent Children’s Choir, directed by Stefania Rinaldi. Thousands of children of all school levels enthusiastically praised the authors Gloria Bruni and Ursel Scheffler, who – together with the orchestra and author of the Italian libretto Lauro Ferrarini – took part in the premiere. 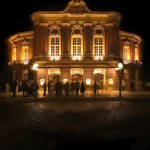 The Pinocchio Opera world premiere was staged with two performances in November 2008 at the Laeizhalle in Hamburg, gaining immediate approval by the public. Under the direction of Stephanie Grau, the direction of the orchestra was entrusted to the Hamburger Symphoniker directed by Igor Budinstein, along with Hans-Joachim Lustig’s Children’s Choir. The success was so great that the two authors, Gloria Bruni and Ursel Scheffler, where called to stage several times. The Eutin Castle in Western Holstein is the ancient residence of the Prince-Bishops of Lübeck and the Dukes of Oldenburg. The four-winged castle originates from a medieval fortress surrounded by a large park overlooking the shores of the Great Lake Eutin. The stage of the Eutin Festival is located in a section of this 14-hectare park. 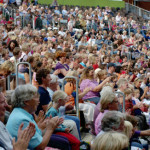 Every year, during the months of July and August, the operas and operettas of the festival are performed in the open-air theatre. 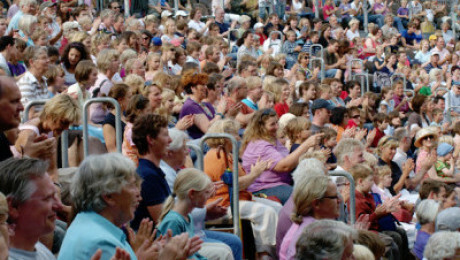 Here too, Pinocchio Opera went on stage in front of thousands of spectators, gaining enthousiastic public approval. 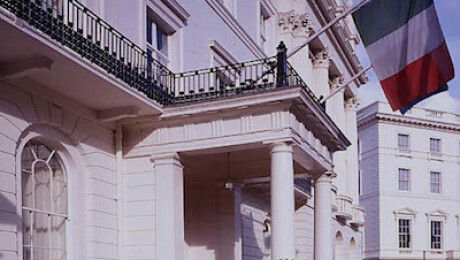 On the 18th of October 2015 Pinocchio Opera was staged with great success at the Italian Institute of Culture in London in a version for piano and voices. The performance was launched on the occasion of the Italian Language Week in the World, under the High Patronage of the President of the Republic of Italy. 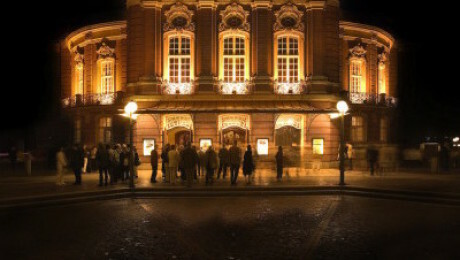 Interested in showing Pinocchio Opera in your city? Our production is available to perform in the theatres of your city. We can also organize educational workshops and collateral activities designed to attract an audience of all ages and backgrounds.